These women were elected as democratic socialists. Now they’re trying to figure out what that means. Can Philadelphia’s new and different delegation to Harrisburg mean anything new and different for Philadelphia? Democratic socialists scored in PA’s midterms. Is the revolution next? Did a blue wave pass through South Philly? Parents want to work political races. But who will watch the kids? The left-wing uprising that led to Alexandria Ocasio-Cortez’s victory in N.Y.? It happened first in Pa.
A Socialist Wave in Pennsylvania? Will Philly’s Democratic establishment stand strong or fall on Election Day? 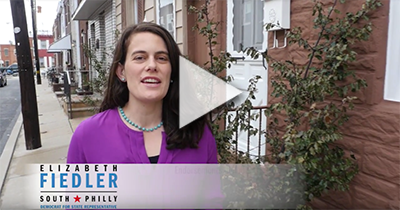 Reporter-turned-politician Elizabeth Fiedler seeks to represent the 184th district. Training To Make Change in Our Community Saturday!